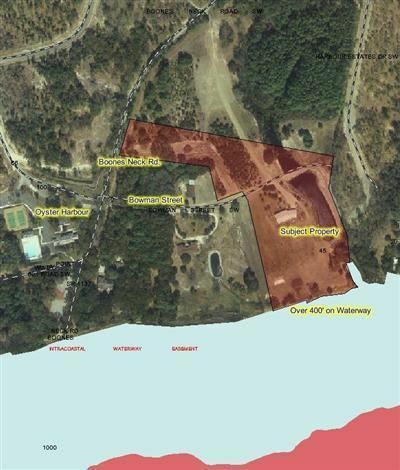 9.03 Acres, with over 400' on ICW and 136' on Boone's Neck Rd, located across street from Oyster Harbour. Zoned MR-3200. Owners licensed NC Real Estate brokers and principals of listing company.